In our recent interview with Andrew Minturn of Bosch Rexroth, we looked at how ‘smart manufacturing’ is changing the face of the UK manufacturing sector. 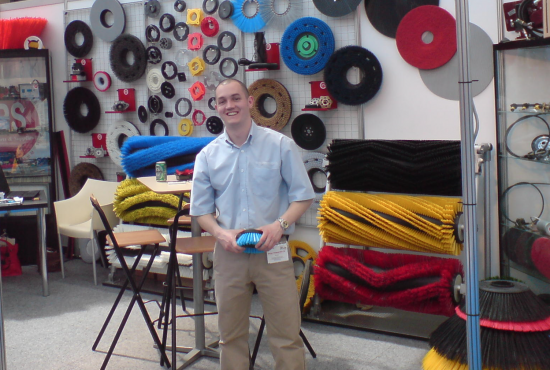 In this interview, Barry Cracket, product designer at Brushtec, talks us through how embracing ‘Industry 4.0’ and investing in the latest technology has significantly increased the industrial brush manufacturer’s capacity. Here at Brushtec, re-investing a large portion of our profits into the latest industrial technology has always been one of our core principles, as this keeps us one step ahead of the competition at all times. Whenever we spot an innovation that we think could make one of our production processes more efficient, we research it thoroughly. If it meets our criteria, we make it a priority to bring this technology into our business in order to streamline our process and improve our output capacity. 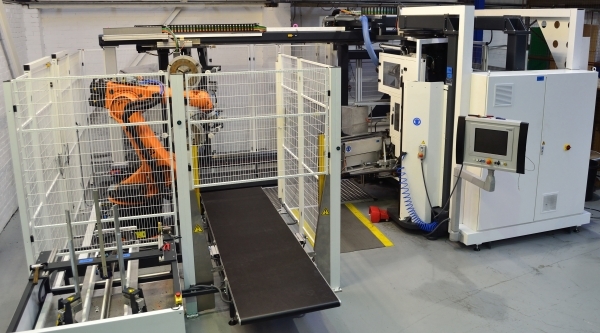 As part of this drive to innovate our work processes, we automated parts of our production line back in 2004. In terms of having a directly effecting our efficiency, nothing has come close to having the same impact, and this still stands as the best business decision we have made to date. Automating as much of our production line as possible has dramatically increased our output capacity. As robots don’t suffer from fatigue or distraction, an automated production line also allows you to plan exactly how long it’s going to take you to complete each job, which is a huge boon when it comes to scheduling our work. Removing human error from the equation also guarantees consistent quality across every batch of products, drastically reducing the chance you’ll have to run a production twice. We’ve not only benefitted from reduced manufacturing times and more consistent product quality but, as robots can perform all the heavy lifting on our site, the risk of injury to our staff has also significantly been reduced. This has significantly improved health and safety in our workplace, while allowing staff to operate at a new level of efficiency. The automation of our production line has also allowed us to become much more flexible, benefitting from a much wider range of manufacturing scope. This is because the newer machinery is capable of completing a more diverse range of tasks than previous methods, allowing us to offer items with brand new features that we previously have not been able to. At the design stage, it gives us a lot more room to develop goods that can do more for our customers, representing the next step in product evolution. It also gives us the opportunity to expand our operation into new markets which had previously been closed when using the old machinery. In addition, when we create something that is new and innovative using this machinery, it’s much more difficult for our competitors to copy them without significant investment. All of this isn’t to say that there aren’t drawbacks to investing in cutting-edge technology. Alongside the initial outlay for the equipment, you also need to hire a higher quality of staff and invest heavily in training to get the most from cutting-edge equipment. Replacing old machines with new and improved models can also lead to downtime — your staff are likely to take a while to get used to the new equipment, so it may take a while to get up to full working capacity. Some of the latest machines are also complicated and time-consuming to set up, making it impractical to frequently switch between jobs. Your production runs therefore need to be larger to offset the setup time, and this requires a more detailed level of forward planning. However, in our experience, the advantages of investing in the latest technology far outweigh the downsides. We recently made a significant investment in a 5-axis machine that, in theory, is going to increase our efficiency by 300% once our staff get up and running with it. If you want to take your manufacturing business to the next level and stay one step ahead of your competition, then investing in cutting-edge technology could be the key to success. While using the most innovative industrial technology requires you to invest in more training and may take your staff some time to get used to, if you choose your investments wisely, there is no better way to increase the efficiency of your production lines.